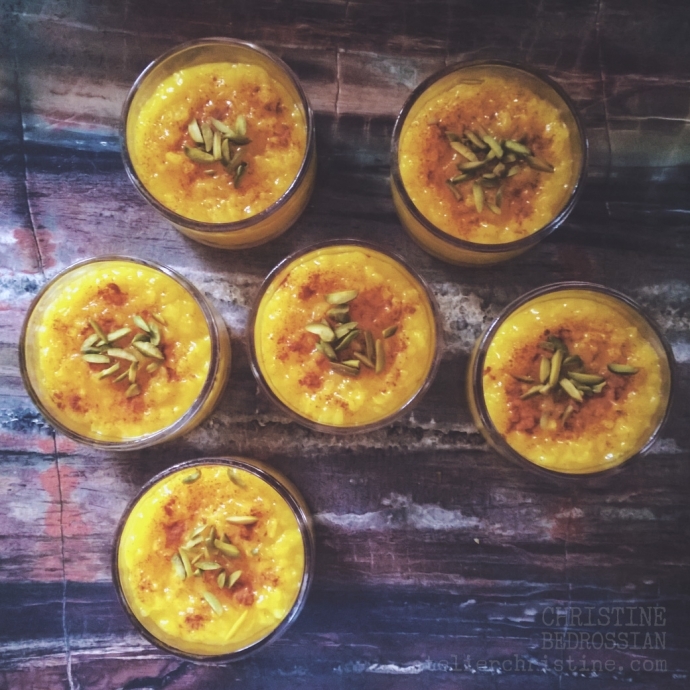 Sholeh Zard is a centuries old golden rice pudding flavored with saffron and rose water. 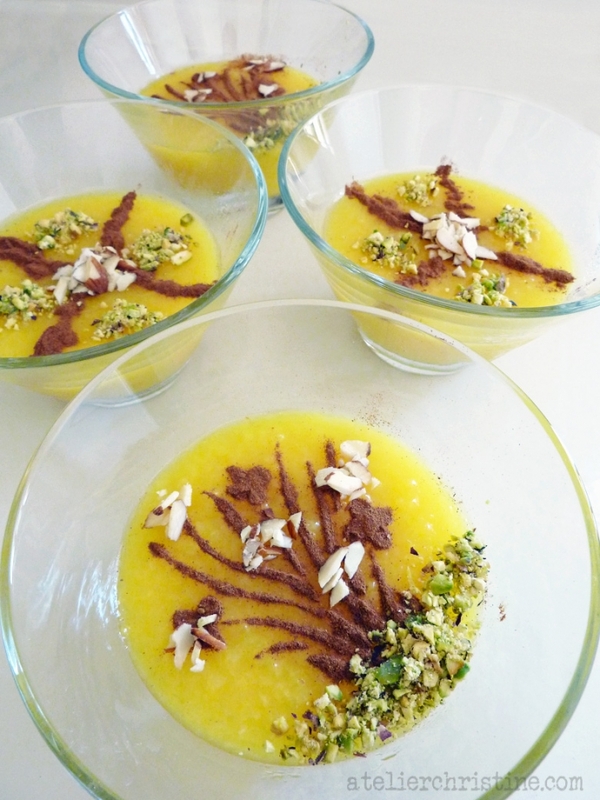 Its fragrant taste and decorative garnishes used give this Persian recipe its distinct character. One can get quite creative using toppings such as cinnamon, pistachio, almond, candied orange peel and edible miniature roses.